Happy Monday! A while back I started posting Monday Morning Reminders and then I totally failed at keeping it up. I’m going to let go of the guilt and try to get back into the habit of it. This week’s reminder is about Community over Competition. I love the community over competition mindset. Over the last few months I’ve found myself surrounded by a stellar group of women who have similar creative passions. We have supported each other, encouraged each other, and collaborated with each other. By cultivating these relationships, I’ve actually had even more success. 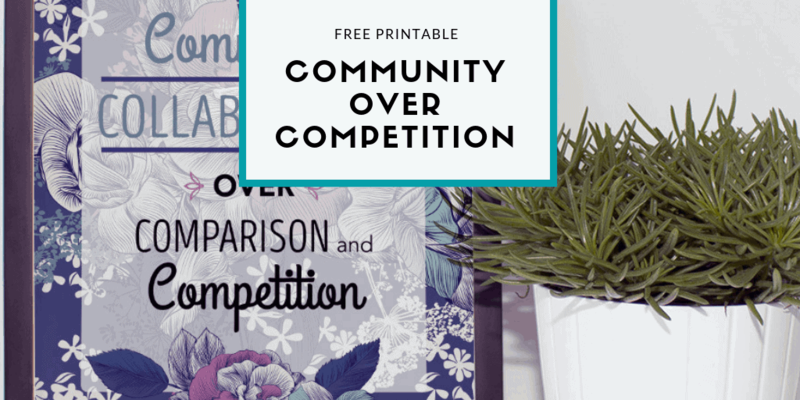 Many of these women do what I do: create printables and style parties, and golly gee these “competitors” do it so well that many times I feel out of their league. But it doesn’t matter if they are or aren’t my competitors, because what is more important to me is community. I’ve learned that there’s plenty of pie for everyone. 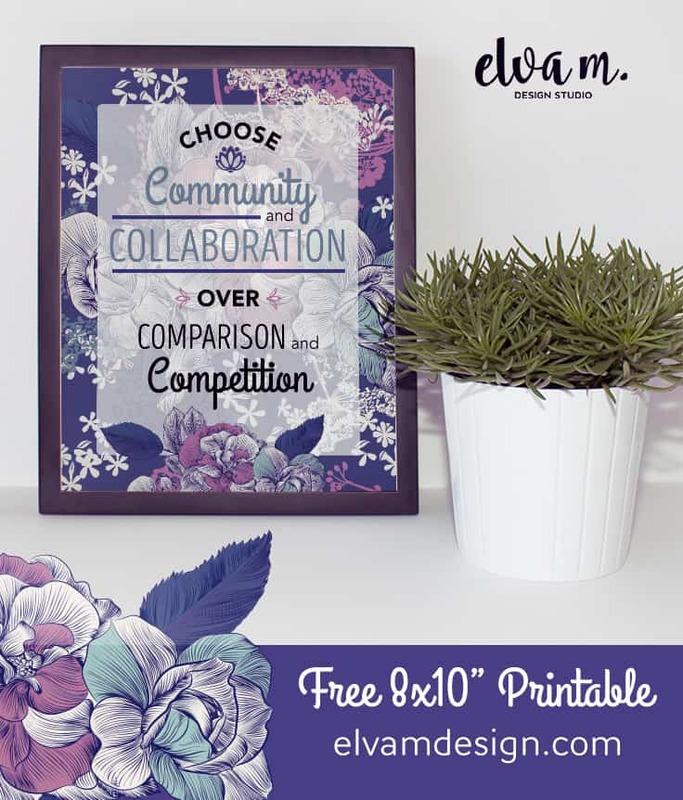 Today, I’m sharing a a couple of my favorite quotes and blog posts around Community over Competition, as well as a free wall art printable you can print at home and frame for a space in your home for when you need this reminder. Girlfriend, we are better together!